We decided to go there on Sunday 25 December 2011. 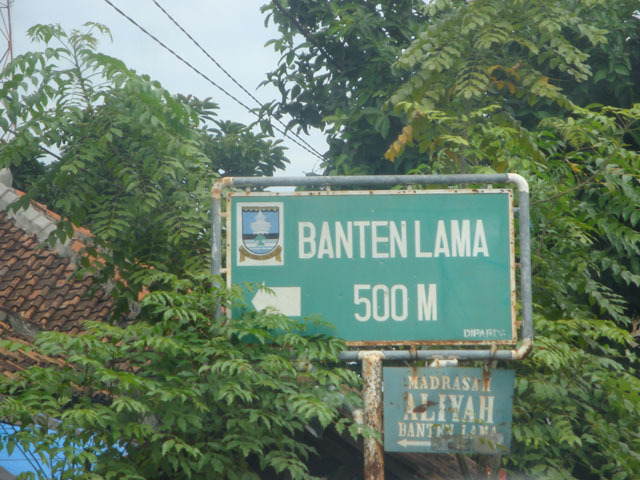 So, what’s inside Banten Lama? 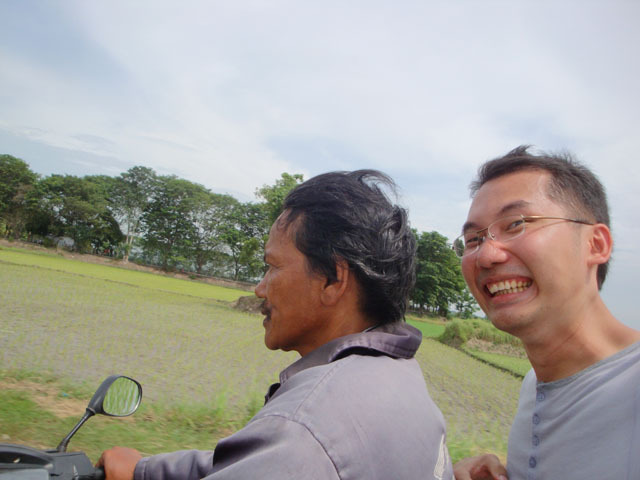 We started from Bintaro around 9:15AM, then we went through the Serang free-way, and exited in Serang Timur (East Serang). 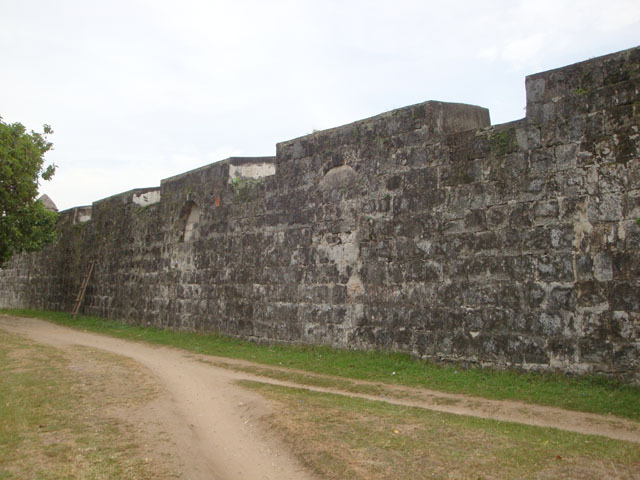 Our first destination was Benteng Surosowan (Benteng = Fortress). The location was quite near the parking lot, but we’re a bit confuse with the direction (yes we could see the fortress, but how to enter there? :P). 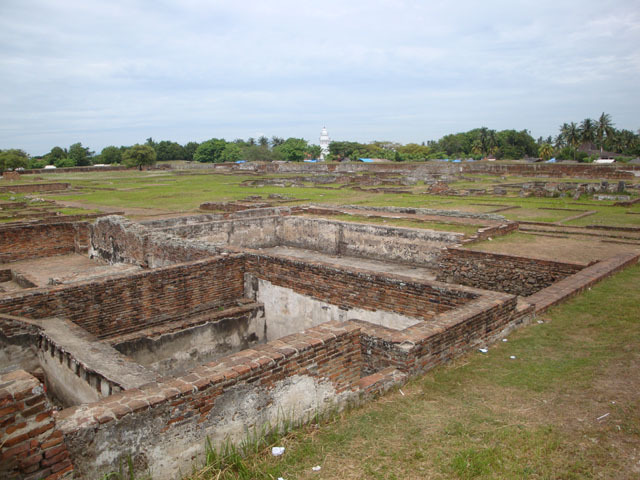 There’re two ways, one to market place area, and the other was a way beside the fortress wall. So we decided to go to the latter, and yes, we found a gate not far from there. The fortress was quite big (it’s a square), and the wall was still intact. Actually there’re two gates, but they close the other gate. We took pictures here and there and guessing, what kind of ruins was that? We saw a pool too, or was it a pool, and full of water (and the water colour was green :P). 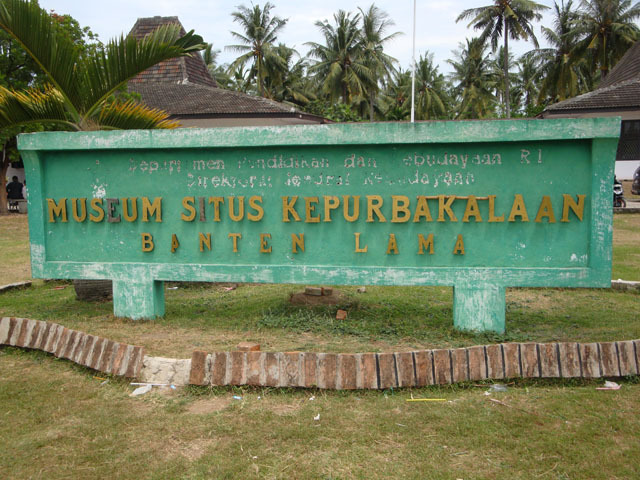 Next place was the Museum Kepurbakalaan Banten Lama (Archaeological Museum of Ancient City of Banten). We needed to register first at the locket, and the entrance fee was only IDR1,000/person. 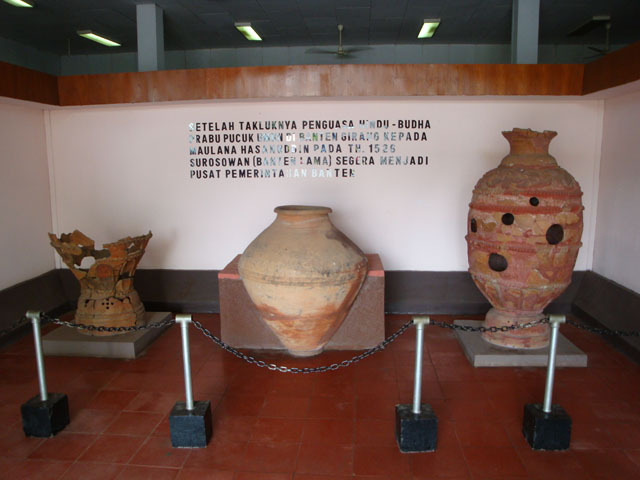 In the museum, I saw the old urban planning of Banten Lama, some antique vases, an inscription, some paintings. There’s also a room where they put the printing machine, to print money, magazines, and newspaper. They also displayed the pictures of the money at that time. It’s a small museum, so we finished exploring the museum quite fast. 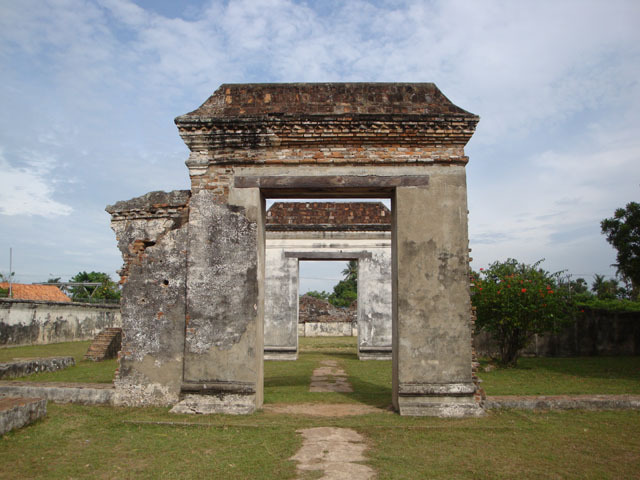 Went on to the next spot was Benteng Spellwijk (from the name, it sounds like a Dutch name :)). It’s not located nearby the complex … So we walked from the museum, and asked the people in the market on how to go there. 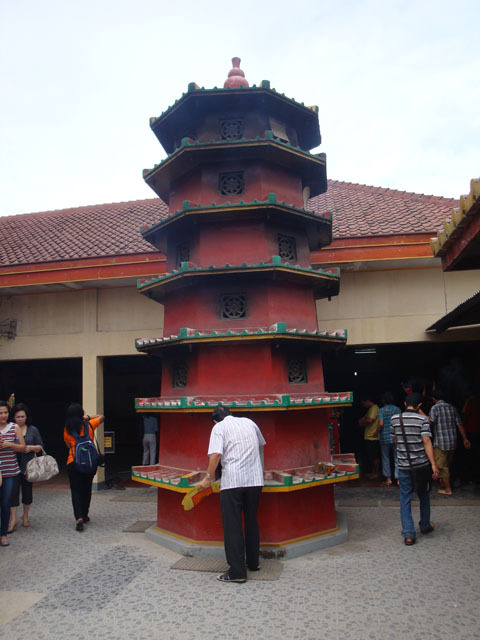 Apparently ‘Benteng Spellwijk’ is located in front of Vihara Avalokitesvara, which was our next destination. Nice! 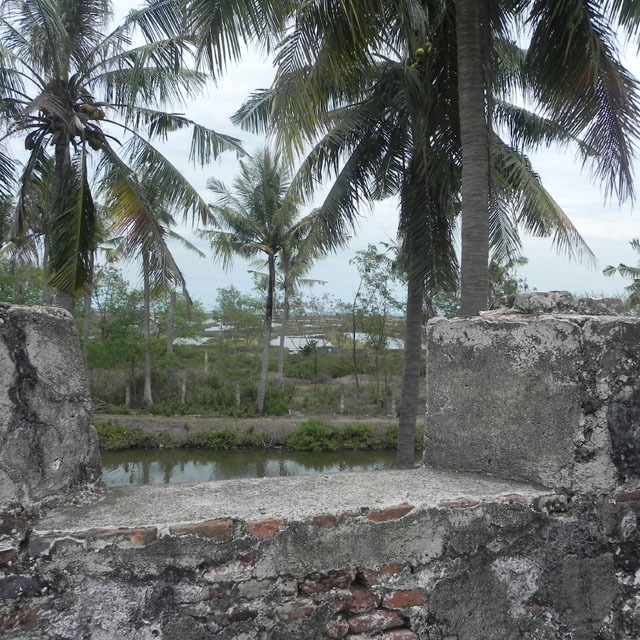 I could see that Benteng Spellwijk is surrounded by river, and Adhie said that not far from the fortress, we could find the ocean. 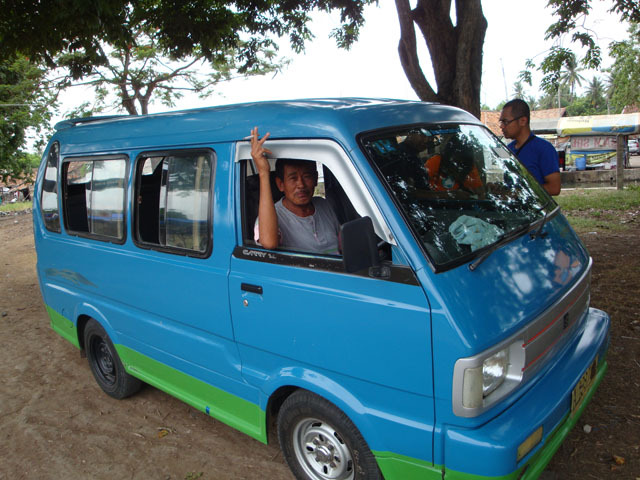 Pak Samhuddin also added that the people used ‘Benteng Spellwijk’ for a football match. The area of the fortress is quite big for the football game. From the outside, we could see that the building was under construction, but when I took a peek (lol), I saw that there’s another area beside this main building. 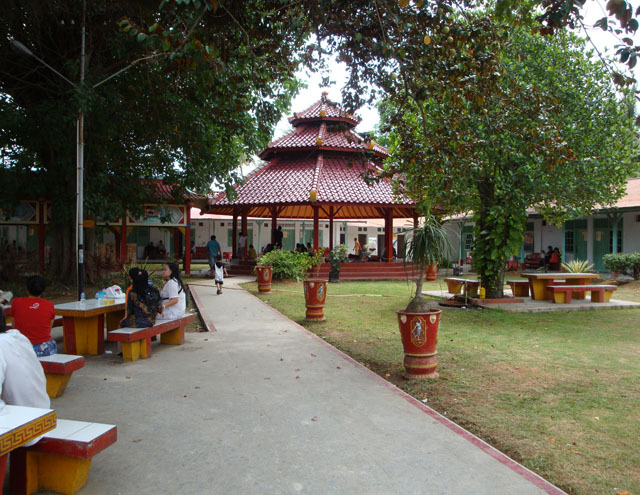 So we entered the area on the right side of the main building, passed the praying area, and went outside. We quite surprise that the area was quite big. And have I told you that it was a very hot day? It was different with in the park … It’s breezy … It seemed that we wanted to stay longer there haha. There’s one site left for this trip. We actually already passed this site on our way to Banten Lama location. So to go back to the parking space, we needed an angkot, but it seemed we couldn’t find any 🙁 . We asked the people there, they said that there’s actually an angkot, but the route of the angkot was not to Banten Lama, but to Serang. Walking to the parking space was quite far, so we had an idea to hitchhike! Haha. It’s the first time for me to hitchhike! 😀 We asked first whether they’re going to a mosque near Benteng Surosowan or not. 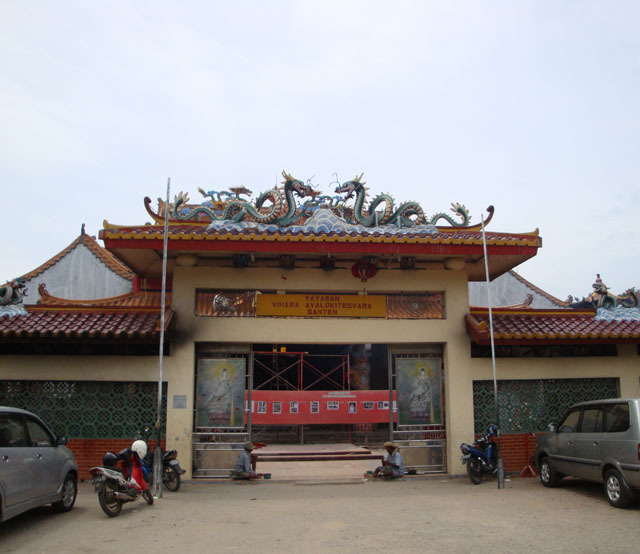 I think he said that he didn’t know about Surosowan but yes, he would pass a mosque on his way. 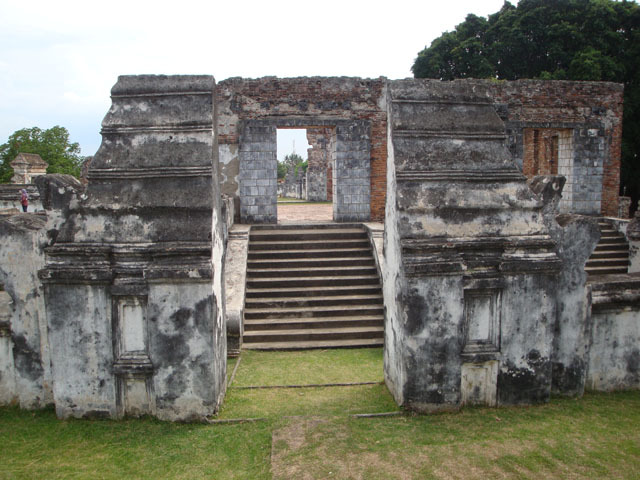 Finally we reached Benteng Surosowan and went straight to the parking space. 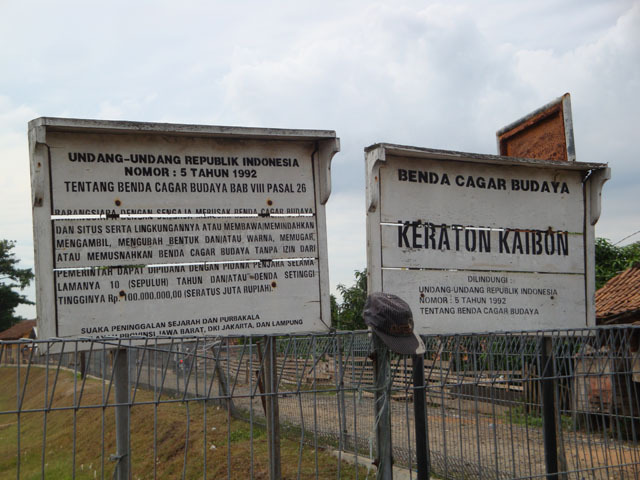 Then it’s time for Situs Istana Keraton Kaibon (keraton = palace). 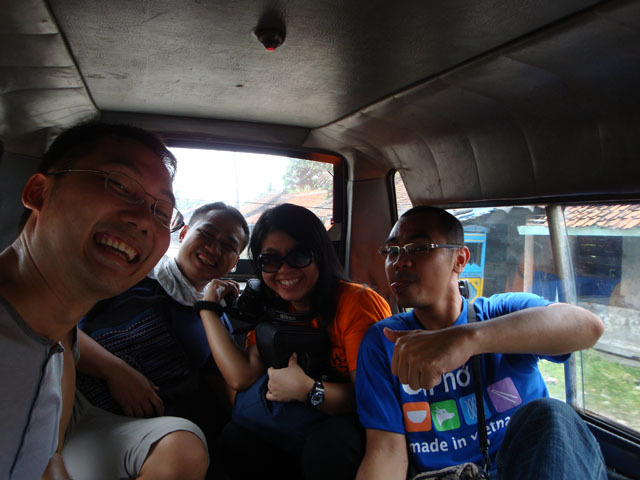 Well, that’s the end of our one day trip to Banten Lama. But hey, it was a fun trip! For more pictures of this trip, please go to my Flickr Page.